Adrian joined Watsi on March 12th, 2013. 1,775 other people also joined Watsi on that day! Adrian's most recent donation traveled 3,800 miles to support Kule, a man from Kenya, to fund hernia surgery. Adrian has funded healthcare for 67 patients in 12 countries. Tumuramye is a tailor from Uganda. She has five siblings. Her parents are small-scale farmers. Three years ago, Tumuramye began to experience troubling symptoms, including recurrent headaches and heart palpitations. She was diagnosed with a multi-nodular goiter. She needs surgery to prevent her symptoms from getting worse. Our medical partner, African Mission Healthcare Foundation, is helping Tumuramye receive treatment. 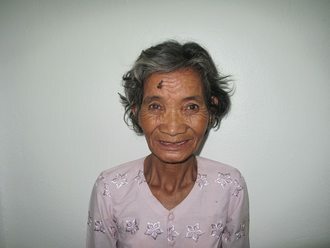 She is scheduled to undergo a thyroidectomy on November 20 at our medical partner's care center. Surgeons will remove all or part of her thyroid gland. This procedure will cost $240, and she and her family need help raising money. Tumuramye says, “I will continue with tailoring after surgery." Sumaiya is a three-year-old girl from Tanzania. She the third born in a family of four children. Sumaiya is cheerful girl who loves playing with other children. Her parents are planning to enroll her in school next year. Sumaiya was diagnosed with genu varus. Her legs are bowed outward at the knees. This condition is typically caused by an excessive accumulation of fluoride in the bones, which often stems from contaminated drinking water. As a result, she has a difficult time walking and feels pain. Our medical partner, African Mission Healthcare, is requesting $940 to fund corrective surgery for Sumaiya. The procedure is scheduled to take place on October 5. Treatment will hopefully restore Sumaiya's mobility, allow her to participate in a variety of activities, and greatly decrease her risk of future complications. Sumaiya’s father says, “Please help my daughter get the need surgery and be able to walk well without pain and hopefully next be able to walk to school." Noch is a bean and rice farmer from Cambodia. He likes to read about Buddha. He has two daughters, four sons, and seven grandchildren. Three years ago, Noch developed a cataract in his right eye, causing him blurry vision, itchiness, tearing, photophobia, and a clouded lens. He has difficulty seeing things clearly, recognizing faces, and going anywhere outside. When Noch learned about our medical partner, Children's Surgical Centre, he traveled for four hours seeking treatment. On September 6, doctors will perform a small incision cataract surgery and an intraocular lens implant in his right eye. After recovery, he will be able to see clearly. Now, he needs help to fund this $211 procedure. He says, "I hope my eye surgery is successful so I can see everything clear again. I want to do my work, walk to the pagoda, and go outside by myself." 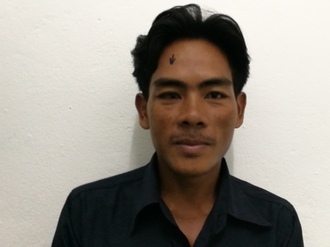 Sary is a rice farmer from Cambodia. He is married and has one daughter. He likes to watch boxing matches on TV. Four years ago, Sary developed a pterygium in both eyes, causing him blurred vision and eye redness. Pterygiums are non-cancerous growths of the conjunctiva, a mucous layer that lubricates the eye. The growths occur when the conjunctiva is exposed to excessive sun damage and the cells grow abnormally over the pupil. He has difficulty seeing things clearly, recognizing faces, working, and going anywhere outside. When Sary learned about our medical partner, Children's Surgical Centre, he traveled for three hours seeking treatment. 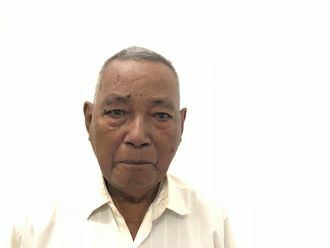 Sary needs a surgical procedure to remove the abnormal conjunctiva from the cornea surface and replace it with a conjunctival graft to prevent recurrence. The total cost of his procedure is $201. This covers medications, supplies, and inpatient care for two days. The procedure is scheduled for July 10. He says, "I hope to continue to plant rice and my crops." 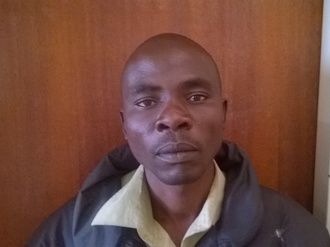 Justin is a builder from Malawi. He lives with his wife on their small farm, and they have four young children. When he's not working as a builder or farming his land, Justin likes to spend quality time with his wife. Since July 2017, Justin has had an inguinal hernia. This hernia causes Justin pain and weakness and makes work incredibly difficult for him Fortunately, on April 03, he will undergo hernia repair surgery at Nkhoma Hospital, our medical partner's care center. Our medical partner, World Altering Medicine, is requesting $334 to fund Justin's surgery. The requested money pays for supplies, medications, and six nights of hospital stay. Justin was thrilled to find out his surgery would be funded, and he is looking forward to going back to his building and farm work. He says, "Thank you, Watsi!"